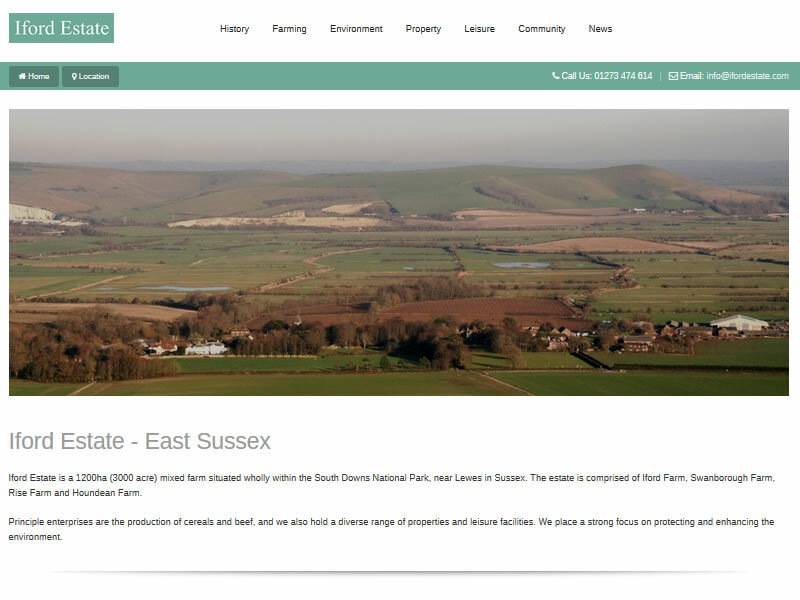 Iford Estate is a 1200ha (3000 acre) mixed farm situated wholly within the South Downs National Park, near Lewes in Sussex. The estate is comprised of Iford Farm, Swanborough Farm, Rise Farm and Houndean Farm. We originally built the website for Swanborough Farm which has been assimillated into the estate. The website is responsive and displays perfectly on mobiles and tablets as well as traditional desktop PC's.